Into the box you go! Needs a name other than "Chomp"
Every now and then, you get lucky; Primrose was grossly mislabeled and available for a beautiful price as a result. 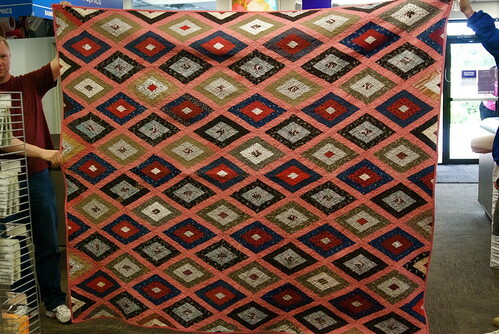 This quilt falls into another category altogether: damaged but salvageable. 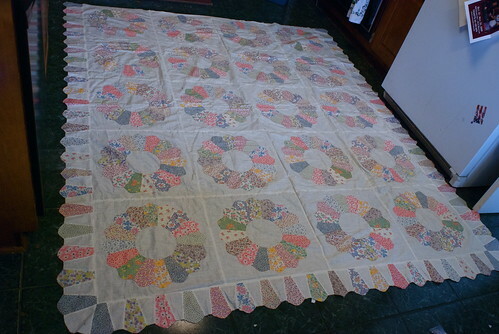 It's time to introduce you to the changeling quilt top. I didn't make it, and I don't know who did. Say hello to Primrose, named for Primrose Farm, where Catherine's volunteering.